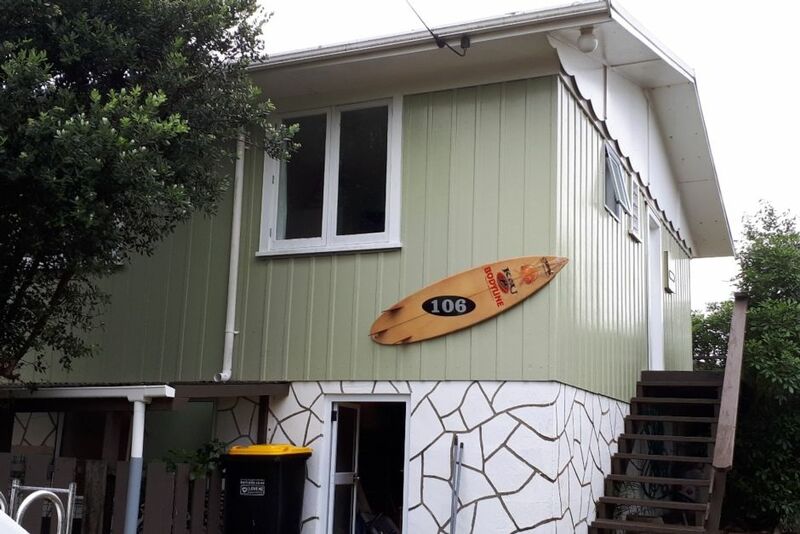 This is a great family beach house with all amenities, A leisurely 3 minute walk to the main beach which is popular surf beach and the same distance to the estuary which provides a safe swimming area for the littlies. . Whangamata offers something for everyone, golf, tennis, boating, fishing with a great selection of restaurants and cafes, , fabulous shops, Marina and Boat Club. Pop across the road to the Estuary Store and Takeaway where you can hire bikes and kayaks all fun extras to enjoy. There is plenty of easy access off road parking . Loved it, very clean, great beds and awesome location, highly recommend it! I'ts so nice to receive feedback and learn how you felt about your stay. You were great to deal with and making an extra effort to put the washing on and out to dry was really appreciated.
" Thanks for choosing to stay with us"
Great quiet location near the beach and comfy place to stay. We had an awesome stay! Had a wonderful time at a very nice Bach, even with the bad weather - we would recommend and can't wait to come back - house is great, one of the best sleeps ever! Excellent location for us. Right near the beautiful estuary which our children loved. Fish and chip shop and dairy right across the street. Lovely and clean classic kiwi bach with enough space for our family of 5.